Preheat oven to 350F. Line two muffin tins with papers and set aside. In a medium bowl, stir together brown sugar, butter, cinnamon and pecans. Sprinkle the mixture over each uncooked muffin. 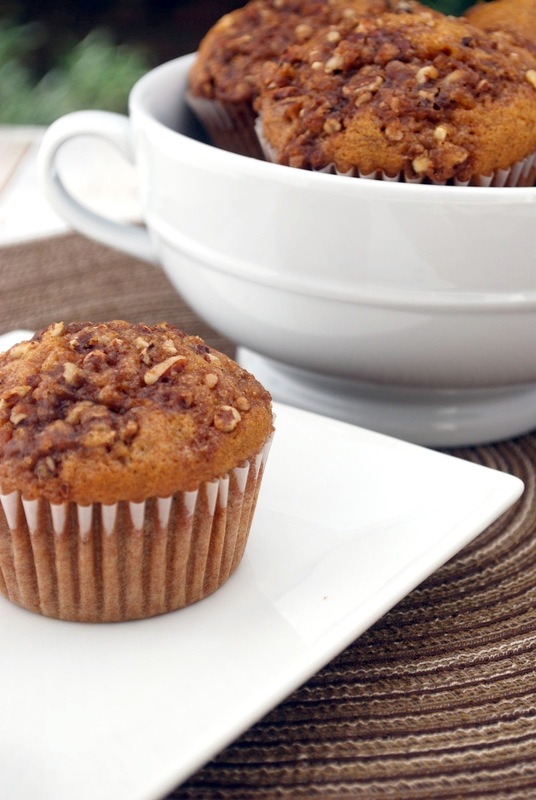 Bake for 20-25 minutes, until a toothpick inserted into the center of a muffin comes out clean.